It’s time to migrate those old emails. Yahoo — that crumbling pillar of the Internet — has been bought by Verizon, and the future of the brand is up in the air. Yahoo kept trying to reinvent itself, offering new services and buying up other companies in a failing effort to stay fresh. But when it first burst onto the Silicon Valley scene in the late '90s, its ads captured the positivity and optimism of the dot-com boom. The cloying logo, that earworm of a yodel — they worked. 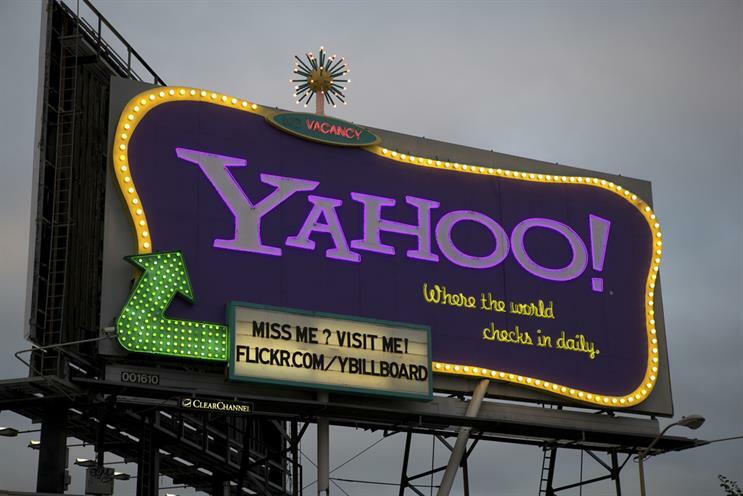 Let’s take a moment to relive Yahoo’s glory days, as well as the rough patches that followed. San Francisco agency Black Rocket beat out RPA to win the Yahoo account in 1996, when the tech company still had only 14 employees. In two weeks, they put together this spot, the first in the "Do You Yahoo?" campaign, which featured both the tagline and the now ubiquitous yodel. The ad presented Yahoo and the internet as something familiar, rather than a powerful, life-changing technology. It was also absurdist and silly, something that resonated with the site’s founders, who liked to joke that Yahoo stood for "Yet Another Hierarchically Organized Oracle." The campaign was a success, and by 1998, the Yahoo web portal was the main point of ingress to the internet for most web surfers. By 1999, Black Rocket had refined the "Do You Yahoo?" template, resulting in this ad, one of the most memorable spots in the series. Early the next year, Yahoo’s stock price hit an all-time high, $118.75 a share. Then the dot-com bubble burst, and the war on terrorism began. Just a few weeks after 9/11, Yahoo shares were trading at $8.11. In a show of strength, Yahoo ran a Super Bowl ad in early 2002, this farcical, animal-focused spot. A rancher named Wylie Gustafson watched that ad during the Big Game, and he recognized the telltale yodel — his own. In 1996, he’d been paid $590 to yodel for a Yahoo ad that he was told would run once locally. Instead, his voice had been used thousands of times nationally. He filed a $5 million suit against the company, which Yahoo quickly settled for an undisclosed amount. But Yahoo realized how recognizable the yodel actually was. To capitalize on it, they ran an online yodeling contest in 2003. It was eventually won by 9-year-old Taylor Waze, who got to star in her own commercial, which launched a brief singing career for her. The post dot-com landscape was increasingly competitive. Yahoo introduced its own search engine in 2004, going head-to-head with Google. It also increased storage in Yahoo Mail accounts in response to the new Gmail service. And in its first dalliance with Verizon, the two companies launched a joint DSL internet provider in 2005. The company continued to branch out into other services, an effort that would only further muddy its identity. It launched a news service, and in 2005, it introduced a music-streaming service, Yahoo Music, with this ad featuring a single from Shakira and eight-bit inspired graphics. It also created Yahoo Answers, a forum where users could ask for information from other people online. That prompted another spot in the "Do You Yahoo?" series, best known for making children cry because beloved family pets can’t really come back to life. But the company never quite found its footing again. Yahoo kept losing ground to Google and relative newcomer Facebook. Between 2007 and 2008, the company laid off more than 2,500 employees and fended off a $44.6 billion takeover bid from Microsoft. In 2012, Google’s Marissa Mayer came in as CEO, the seventh chief executive in 11 years. In addition to acquiring Tumblr for $1.1 billion, Mayer decided to double down on content. To reintroduce the company as a prime source of news, the company released this comparatively pedestrian ad in 2013 featuring its newly hired global anchor Katie Couric. But neither the "Today Show" alum nor the company’s history of internet innovation and memorable advertising could save it from the jaws of Big Red. Now Yahoo joins another vaunted internet pioneer, AOL, as a holding of Verizon, and Mayer’s future at the company is uncertain. But it’s unlikely there will be any more ads for the quirky company with the joyful name. The final answer to its most famous tagline will be a wistful "no." I don’t Yahoo. No one does.